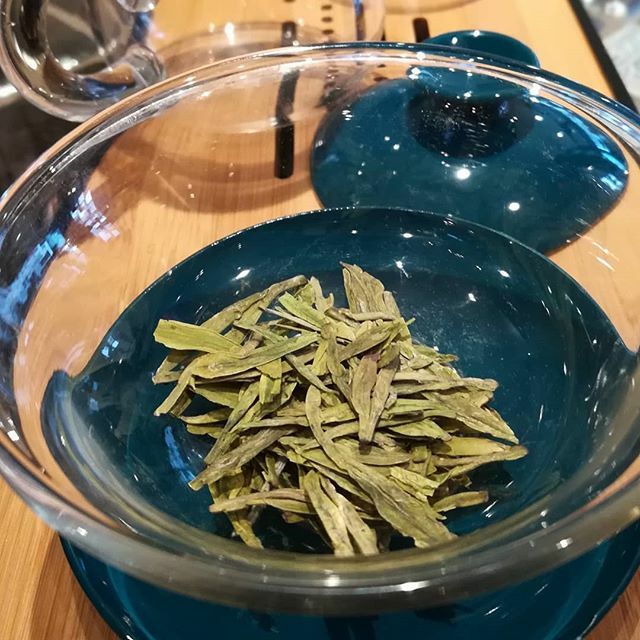 Sipping Red Blossom’s MING QIAN DRAGONWELL 2018 green tea from Panan County, Zhejiang, China. One of the most spectacular greens, this is an easy tea to drink, with a full creamy mouth feel, lingering nuttiness, and a long satisfying finish that plays beautifully with our Tikal Guatemalan 47% milk chocolate. We serve the tea in a traditional Chinese gaiwan, of course.